Install these bulbs in existing C9 (E17) cords or shop for new C9 Christmas light cords here. Fond memories of Christmas past come rushing back when you string these opaque multicolor C9 Christmas bulbs on your Christmas tree. There is just something about the sound of the bulbs clacking together as you lift them out, along with the warmth of them on your hands as you attach them to the branches. 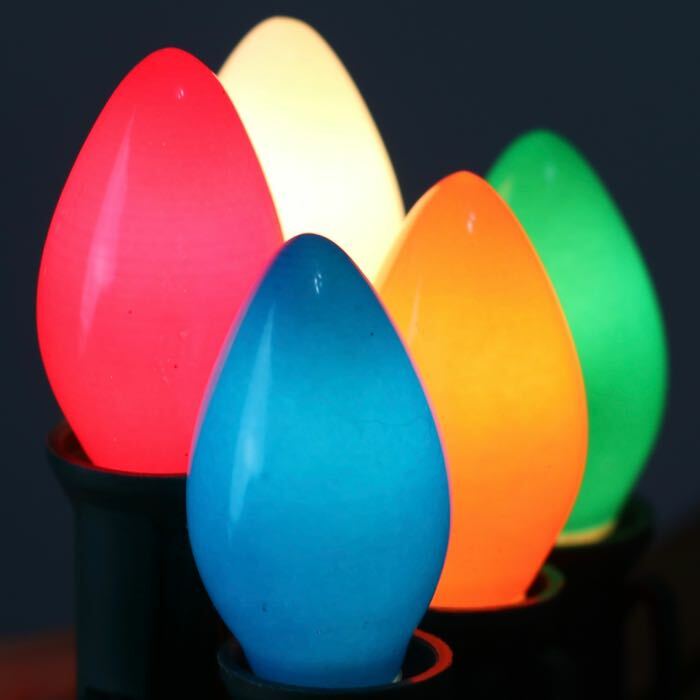 A popular Christmas light option, these multicolor, painted bulbs come with blue, green, red, orange and white, 25 bulbs total to the carton. 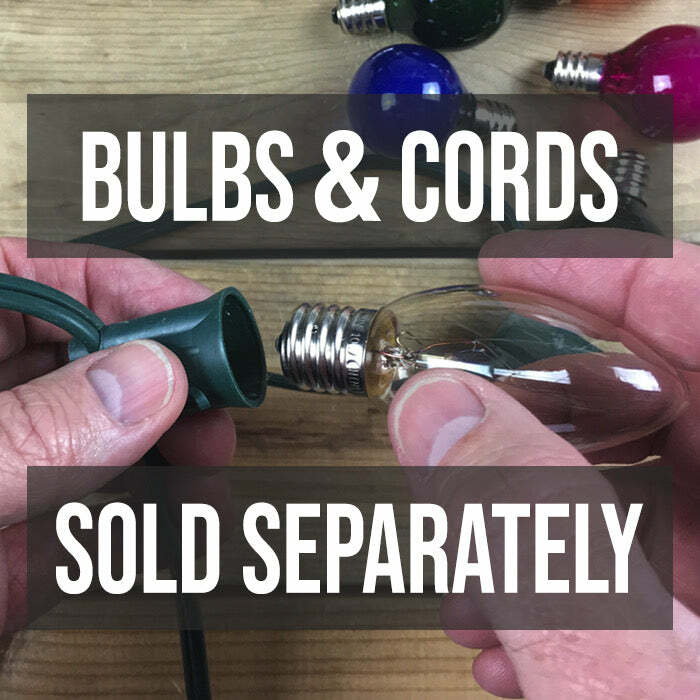 One of our favorite ways to use these beautiful bulbs is to put them in your cord, purchased separately, and drape them on your pre-lit Christmas tree. With the mini white lights and the large glowing bulbs your tree will have interest and texture to celebrate the holiday season. Take the fun throughout your house and string your mantle and stair bannisters with C9 bulbs. Then, go outdoors and make a Christmas wonderland along your driveway and roofline. Be sure to check out our many hardware options for displaying your lights. Warning: C7 and C9 incandescent bulbs heat up under operation. Do not rest them on heat-sensitive surfaces, next to plastic, or coil them up in such a way that allows the bulbs to rest against the insulation and/or sockets of their cords while they are turned on. Do not nestle these bulbs into plastic tree limbs. Some of the latest models of plastic Christmas trees have super thin plastic needles that will melt with extended contact with incandescent C7 or C9 bulbs. We suggest you purchase LED C7 or LED C9 bulbs for this style of tree. These bulbs should not be covered with fabric or any type of flammable material. Do not operate lights without supervision. When installed indoors on natural Christmas trees, make sure the tree is well watered, position bulbs so they do not come into contact with needles and limbs and do not operate lights without supervision. Locate an easy to access fire extinguisher near your tree. Can I mix incandescent and LED bulbs? What is the difference between LED and Incandescent lights, Really? Decorating with Burlap - Light it up! How can I customize Christmas light colors? How do I light up a pumpkin? 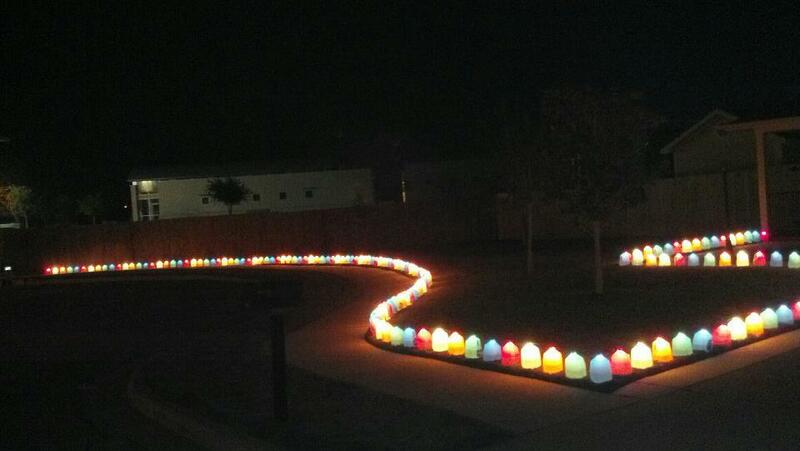 Pumpkin Luminaries! What is the difference between C7 and C9 bulbs? These are quality bulbs with very vibrant coloring compared to anything else I've seen.. Shipping good, fast and packaged very well. I purchased 125 C7 build in multi color and 50 C9 bulbs also in the opaque multi colors. 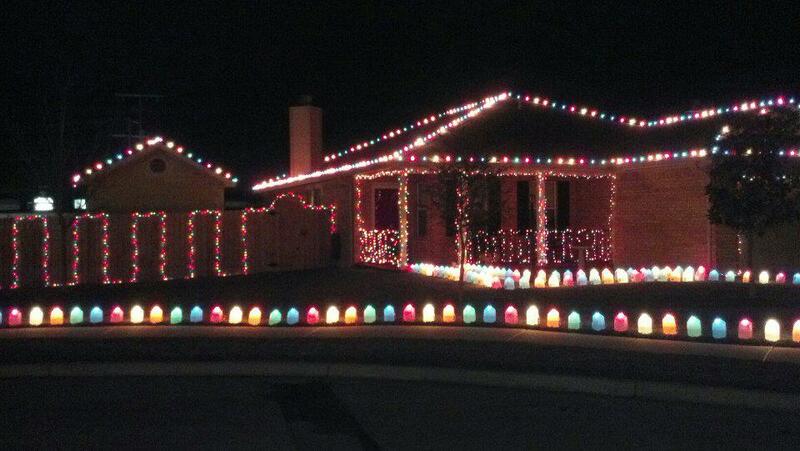 These are Beautiful colored bulbs. They look awesome. This is my light source now. They are packed perfectly and securely. I recommend them. Item shipped the next day. Arrived quickly. Exactly as advertised. Well packaged. No broken bulbs. I love these lights. Im not into LED and like the traditional look. Great product. Q: What colors come in the multi color box product #B-C9OMUL? Thanks? A: That is a fantastic question. Green, red, blue, white and orange. Q: I am thinking of moving to a state where it snows and rains a lot. Since the bulbs heat up, will they break from the cold weather? A: We have not found that cold weather or temperature alone is an issue for glass incandescent bulbs but all Christmas lights will experience a shorter life in an environment with a substantial amount of snow and rain. I hope that answers your question, let us know if you have others.